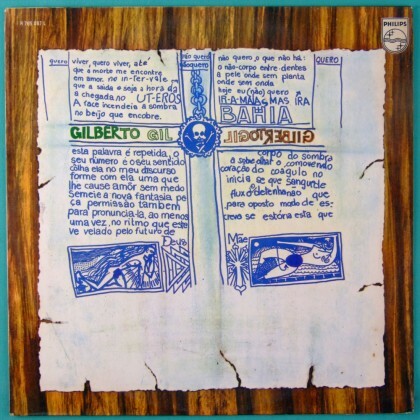 This album was produced when Gilberto Gil and Caetano Veloso were in a domestic prison in Salvador - State of Bahia, before got to the London’s exile. At this time he began to practice yoga, macrobiotics and psychedelic drugs' experiences, which he continued to pursue in subsequent years. While under house arrest in 1969 he also recorded an album that featured several songs he composed in prison. 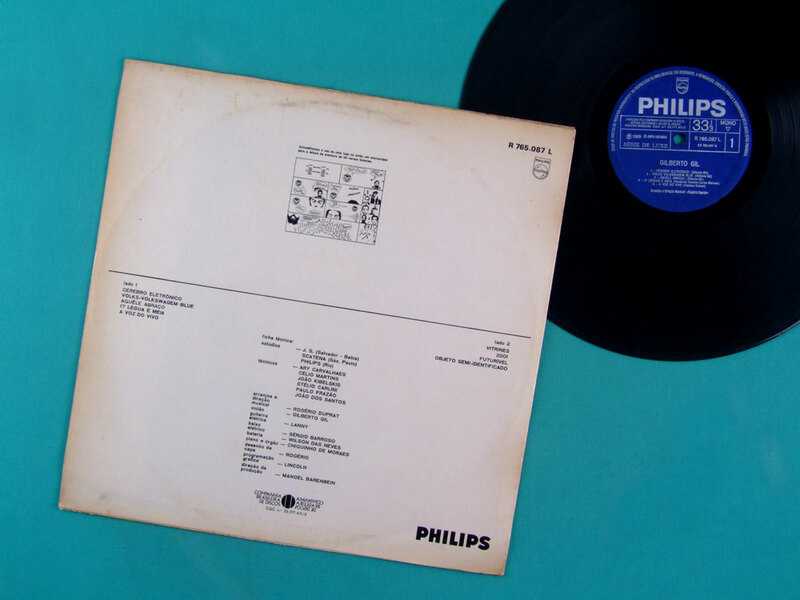 Like Veloso's 1969 White album, Gil's 1969 recording was later orchestrated and arranged by Rogerio Duprat. imposed by the effective political dictatorship in Brazil. Gilberto Gil recorded it in a small studio (JS Studios - the same studio that Gil's recorded his mega rare debut EP). For the 1969 album were recorded only voices, acoustic nylon guitar and a metronome as click track. The tape was sent to São Paulo to complete the arrangements (by Rogério Duprat) and to add the other instruments. Astonishing Fuzz & Wha sounds by Lanny electric guitar solos! Gil's 1969 album is considered his most experimental recording, "Objeto semi-identificado" (Semi-identified object), an esoteric verbal collage derived from his conversations with Rogerio Duarte, a graphic artist who was one of the principal interlocutors of the tropicalist group. In the studio, composer-arranger Rogerio Duprat later added a sound montage of dissonant tones, buzzes, echo effects, tape loops, and musical fragments reminiscent of adventure films and marching bands. Take a look at the Tropicalia Style of the FANTASTIC art-design by Rogério Duarte.